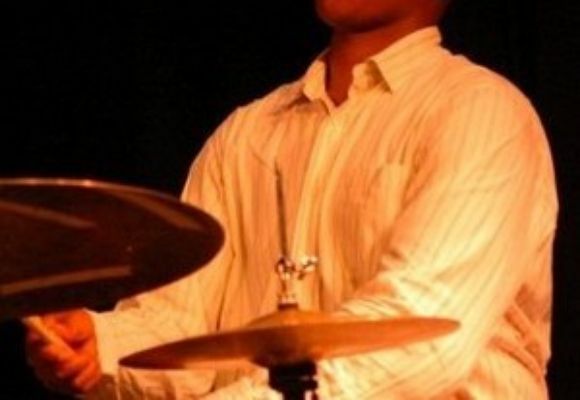 Drummer Cory Cox, 22, a 2006 graduate from the High School for the Performing and Visual Arts in Houston, Texas has been playing the drums since he was nine. He was in the 2006 GRAMMY Jazz Combo and the 2006 Texas Music Educators Association All-State Jazz Ensemble. Cory was a member of the prestigious Dave Brubeck Institute, where he completed his first two years of college. He's currently in his junior year at The New School University, where he's pursuing a degree in jazz performance. Cory has had the opportunity to perform with Charles McPerson, Conrad Herwig, Geoff Keezer, Mulgrew Miller, Nichaolas Payton, Roy Hargrove, David Sanchez, Christian McBride, Bob Hurst, Miguel Zenon, Joshua Redman, Robert Glasper, Fred Hersch, Stefon Harris, Jason Moran, Freddie Hubbard, Frank Morgan, John Ellis and many more.